Cordaid has been active in the Philippines for more than half a century. It was after the disaster of super-typhoon Haiyan that Cordaid decided to open a country office in 2014. Current thematic areas are climate resilience and disaster preparedness. We focus our efforts on disaster risk reduction, climate change adaptation and environmental protection in three provinces: Eastern Samar, Palawan and Cebu. We are looking for opportunities in Mindanao, a conflict-affected area, where we have a partner network. Humanitarian needs and the vulnerability of the population are high in the areas where Cordaid operates in Eastern Samar, Palawan, Cebu and Mindanao. The Philippines are prone to natural disasters (cyclones, floods, earthquakes, tsunamis, landslides and droughts). While the national government’s initial response is usually rapid and effective in terms of search-and-rescue, measures to build resilience and mitigate the impact of disasters frequently remain unaddressed. The most vulnerable households are often the most affected. This is particularly the case in poor and remote regions. Here, high frequency of natural disasters combines with the consequences of conflicts and violence, resulting in very low coping capacities among the most fragile and marginalized communities. Poverty and lack of access to government services have a multiplier effect. Under climate change scenarios it is projected that the Philippines will be affected by an increase in extreme climate-related events, such as storms, flooding, and drought. The population of the Philippines is predominately Roman Catholic, with Muslims constituting a 5% minority. Most Muslims live on the southern group of islands of Mindanao, which, apart from being the poorest region of the country, is also a conflict area. Muslim and indigenous communities are the victims of armed conflicts. Various Islamic groups have been fighting to establish an independent Islamic state for quite some time. After the typhoons that struck Mindanao in 2011 and 2012, Cordaid provided emergency and recovery assistance. Current thematic areas are Resilience and Disaster Preparedness. Cordaid builds the capacities of communities through action planning and training. We enable collaboration between communities and other stakeholders and co-create smart, risk-proof solutions based on the communities’ priorities. Cordaid builds the disaster preparedness capacities of communities, local government as well as partner organisations in training sessions and workshops. Thus we enable all stakeholders to reduce impact of disaster and act fast and well-coordinated when disaster strikes. In both thematic areas we mobilize and strengthen capacities of communities, local authorities and others to build sustainable and alternative livelihoods. We also influence local and national policies and plans, for example on local climate actions and land use. In the longer run, Cordaid aims to break the cycle of repeated disaster in risk prone and disadvantaged areas in The Philippines. We do this by putting people in charge of their own resilient development. Cordaid also intends to respond to the situation of the victims of conflict in Mindanao, and to contribute to peace building and resiliency in that part of the country. Our main partner organizations are EcoWEB (Ecosystems Work for Essential Benefits, a national NGO also active in Mindanao), and East West Seed, an international private company and the Institute for Climate and Sustainable Cities (ICSC), a climate policy group working locally, nationally and internationally to promote resilient low-carbon development. NASSA is the national Caritas organization, supporting all diocesan Social Action Centres. 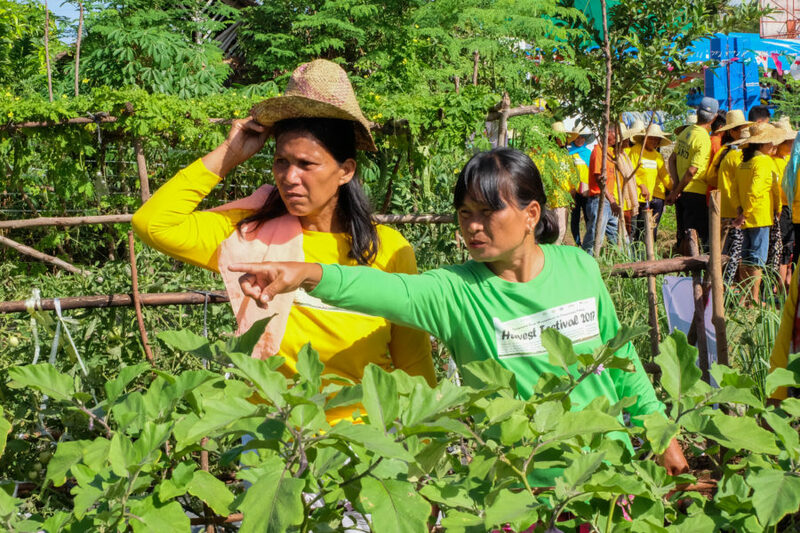 Cordaid is part of the Caritas network in the Philippines, and works currently with diocesan Social Action Centres in the provinces of Eastern Samar, Palawan and Cebu. Cordaid is also a member of the Partners for Resilience Alliance, a Dutch based global alliance, consisting of Netherlands Red Cross, CARE Netherlands, Cordaid, Red Cross Red Crescent Climate Centre and Wetlands International. Our main donors are the Dutch Ministry of Foreign Affairs and Caritas Member Organisations.